Do you know the muffin man – the one who bakes wonderful Paleo muffins? Most likely that muffin-maker is going to be you, unless you happen to live next to a Paleo bakery. In which case you may consider yourself extremely lucky. However, luck also comes with the opportunity and availability of finding those Paleo-approved ingredients. And if you happen to love baking, then luck truly is on your side. 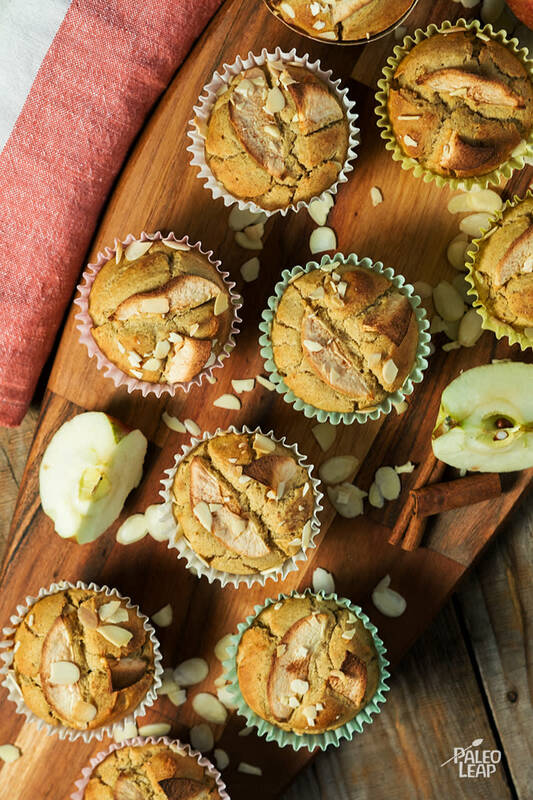 But the truth is, these Paleo apple muffins are so simple, they almost bake themselves. Before we get too far ahead of ourselves and imagine taking the perfectly browned muffins out of the oven as we fill our home with lovely smells, we need to make some homemade applesauce first. If you plan on using it as a side dish to other meals (think pork chops), then know that it lasts for 1 to 2 weeks in the fridge if you remember to use a clean spoon each time you sneak some out. If you want to be well prepared for any such occasion as making muffins, then you can make a larger batch and freeze applesauce too. The key here is to add any spices to the applesauce after it thaws, since they lose their flavor in freezing temperatures. Also, leave plenty of room for the applesauce to expand as it freezes. Muffins are great for a quick breakfast on the go, just as much as they are appreciated in school lunches. Sweet potato banana and blueberry muffins are yet another tempting option to help you start your day. Combine all the ingredients (except the almonds) with half the sliced apples in a bowl, and mix until everything is well combined. Evenly scoop the mixture into a muffin pan. Top each muffin with the remaining sliced apples, and sprinkle with the almonds. Bake in the preheated oven 20 to 25 minutes, or until firm to the touch and a toothpick inserted in the middle comes out clean.